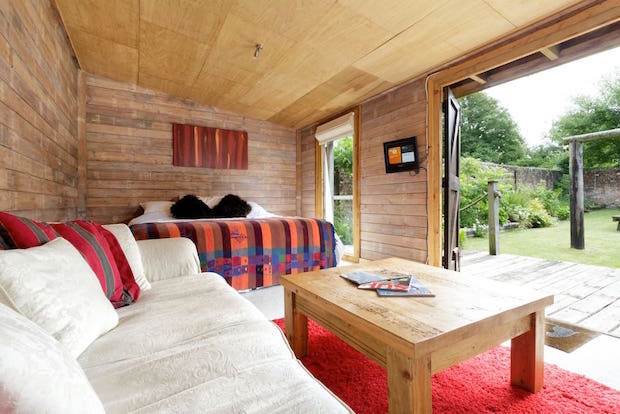 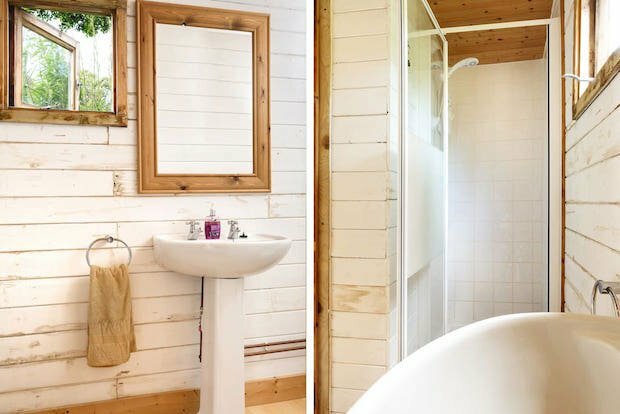 Housed within the peaceful walled garden of a 16th Century stable block house, the beautiful log cabin home is built from recycled materials and provides eco-friendly soaps and shampoo. 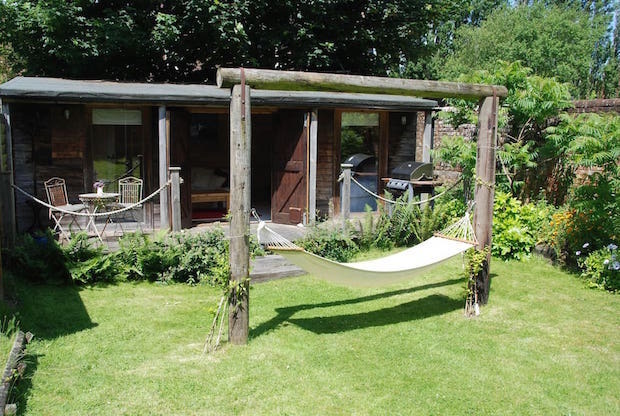 Magic Cottage has a seating area with sofa, coffee table and TV with Freeview… a microwave, fridge, kettle, toaster and sink in the kitchen area and a gas barbecue with side burner on the deck… It also has an en suite shower room, and a terrace to enjoy the sun in the mornings. 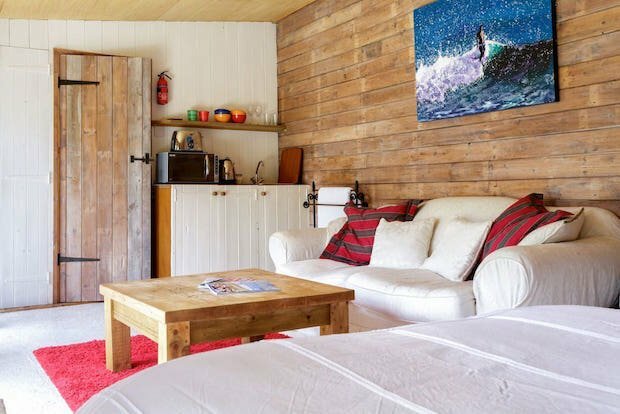 On chilly nights, there is an electric heater to warm up the cabin; its soft flickering glow exude a cosy atmosphere in the small cabin home. 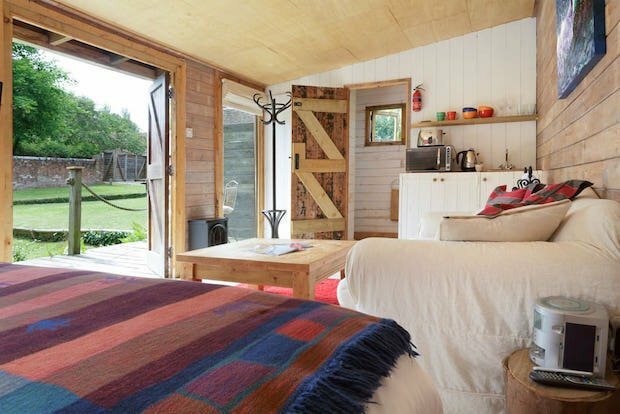 Magic Cottage is 2-minute drive away from a local co-op, eateries, and plenty other cafés and pubs. 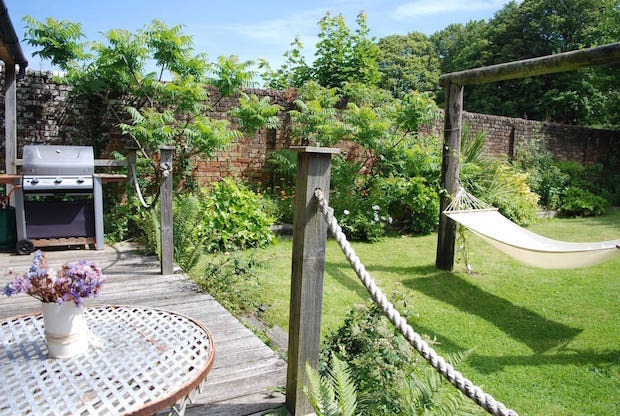 You can also visit Gosport, Portsmouth or Gunwharf Quays for more restaurants, bars and shopping outlets.